According to the WHO, malaria affects half the world’s population, killing nearly a million people annually. The disease cost African economies over $12 billion and is responsible for over 4.2 million disability-adjusted life years in India alone. Although there are effective malaria treatments, without any simple and accurate diagnostics, these cannot be administered for fear of resistance, cost and potential side effects. The Boston-based startup Disease Diagnostic Group is determined to develop rapid, accurate and inexpensive diagnostics tests, and are focusing on malaria. Their flagship product, the Rapid Assessment of Malaria (RAM), uses magneto-optical technology to provide accurate malaria diagnoses from a drop of blood in less than 60 seconds, at 1/10th the cost, and 100x the accuracy of current solutions. The smartphone-sized device is battery-operated and consists of a plastic box, a small circuit board, a few magnets and a laser on the inside. On the outside is an LCD screen, an SD card slot and a plastic disposable cuvette, making the total cost of the reusable device about $100. The idea is based on the fact that malaria parasites create iron crystals in human blood that are magnetic. A finger prick of blood is put into the cuvette, which is inserted into the box, and introduced to pulsing magnetic fields. If the parasite is present, the iron crystals will spin in conjunction with the spinning magnets. By shining a laser through the sample, fluctuating light can be viewed on the other side, allowing a quantitative measure of malaria. In field studies, the point-of-care device has shown an impressive 93% to 97% accuracy, demonstrating its huge potential. Malaria must be recognized promptly in order to treat the patient in time and to prevent further spread of infection. In fact, delay in diagnosis and treatment is the leading cause of death in malaria patients. However, current diagnostics are either unreliable or require the medical infrastructure not available in rural communities in Africa and Asia that is hit the hardest by the disease. 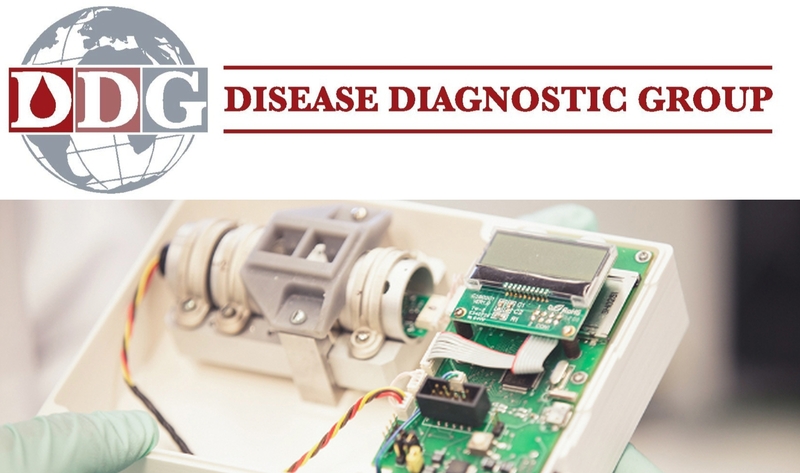 Disease Diagnostic Group’s has developed a low-cost, highly accurate point-of-care device that is sensitive enough to diagnose early-stage infections. RAM can detect infections before patients are symptomatic, meaning it finally offer a diagnostic test to those who carry an undetectable infection. This not only means that it has the potential to become the universal method of malaria diagnosis, but could potentially make it an active screening tool. The innovative device’s low cost, combined with its accuracy and portability, make it perfect for low-resource areas. It allow NGOs and countries to screen and treat entire villages before it can spread. In addition, as patients become symptomatic the treatment costs increase significantly, meaning that RAM could reduce direct costs, limit hospital stays and increase productivity of the economy. Most important, the device could revolutionize global health, increasing access to highly accurate diagnostics for people around the world, enabling early treatment of more people, potentially saving millions of lives and preventing outbreaks. 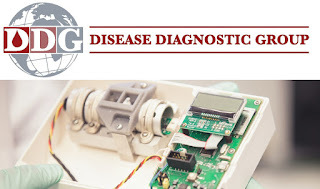 Disease Diagnostic Group was founded by John Lewandowski and Brian Grimsberg in 2012, and has since won multiple awards and grants. The startup has been a MedTech Innovator Semi-finalist, diamond winner of MassChallenge, winner of Cupid’s Cup, 43North, MIT’s $100K Entrepreneurship Competition, 2016 Dao Ventures Entrepreneurship Competition and NACD’s ‘Dancing With the Start-Ups’. They have also been part of YEi France, VentureWell, The Venture, Critical Path, as well as receiving grants from Case Western Reserve University. They are now planning to apply the technology to other diseases, such as schistosomiasis, dengue fever, typhoid and Chagas’ disease.